The Hedgehog is a patented device with parabolic studs which fit onto a standard hand pull trolley and allows it to be used without harming the golf course. Many greenkeepers now insist upon hedgehog fairway protectors during the inclement winter months. 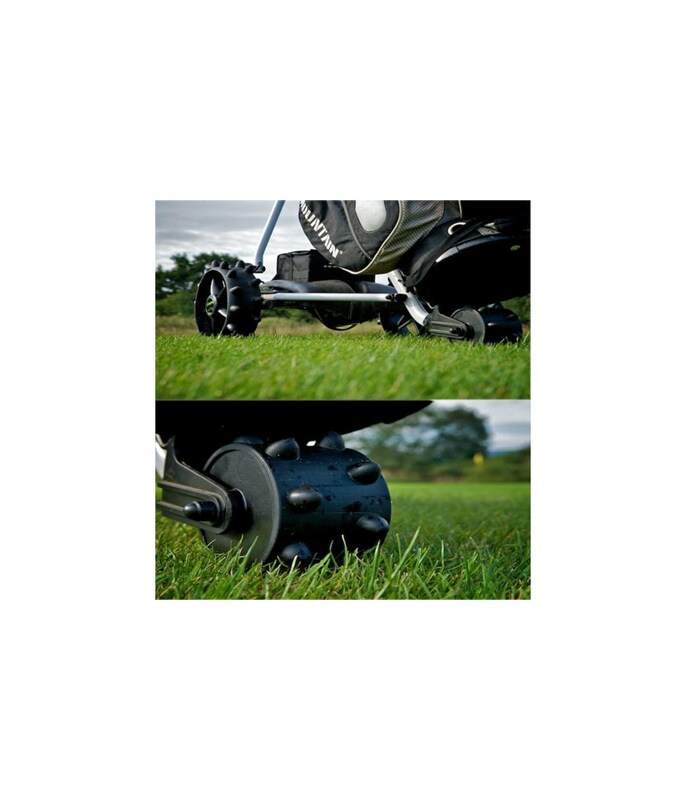 Many golf clubs ban hand-pull trolleys in winter because the flat wheels compact and smear the turf in wet conditions and burn the grass in frosty conditions. The unprotected turf then takes longer to recover and so the bans are imposed. 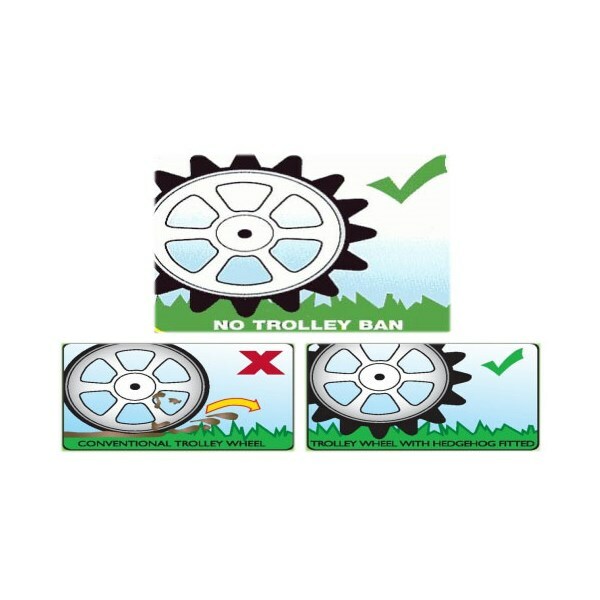 The initial kits are designed for Micro Cart 4-Wheel Trolley models. 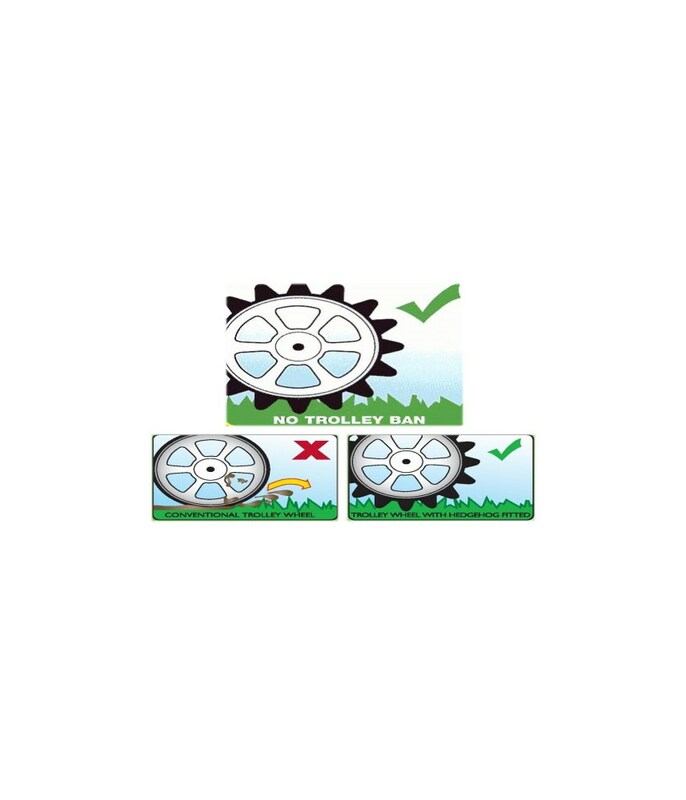 Complete kit to replace your standard trolley wheels with Hedgehog Protector Winter Wheels. 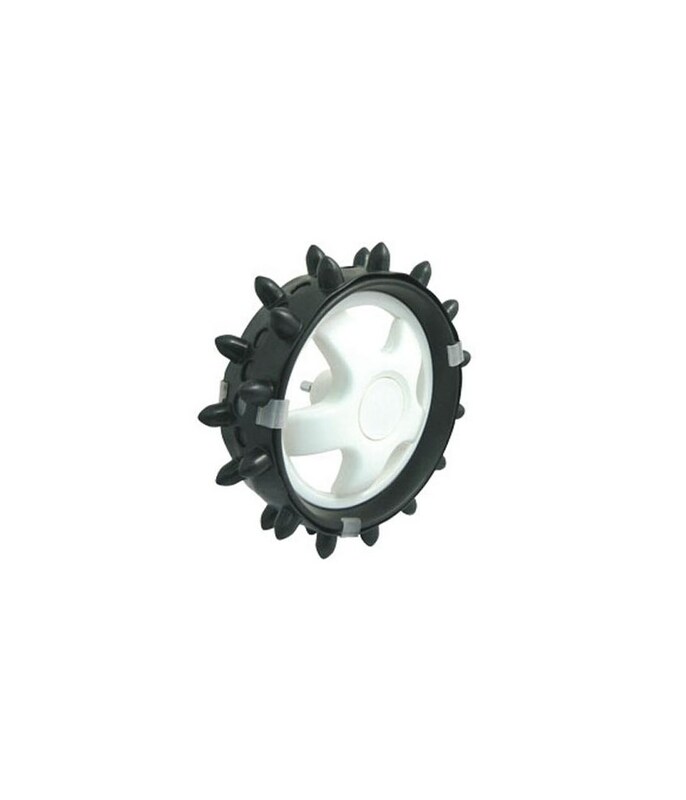 The parabolic studs of the Hedgehog reduce contact with the soil surface by over 75% and glide over the surface leaving little or no impression and therefore inflict little or no damage. 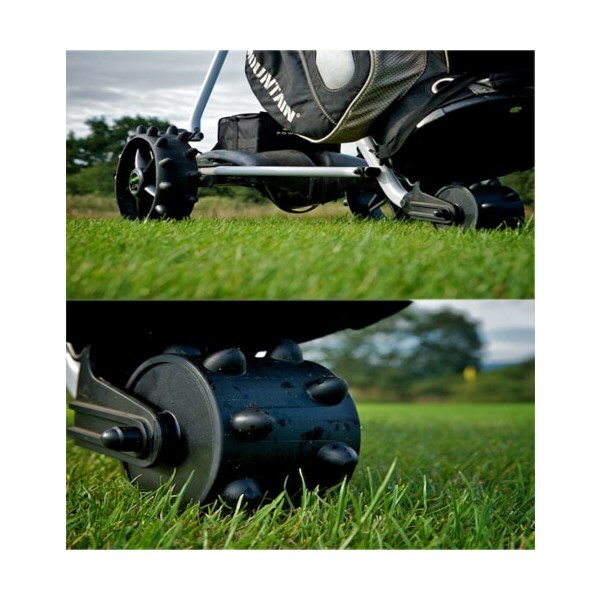 Rather than imposing a full trolley ban during the winter, many clubs are now using a 'restricted' trolley ban, where pull trolleys fitted with Hedgehog fairway protectors are allowed to be used. The reduced resistance makes your trolley easier to pull in all conditions. Can be left on your golf trolley wheels throughout the whole year. Protects Fairways in all weather conditions. 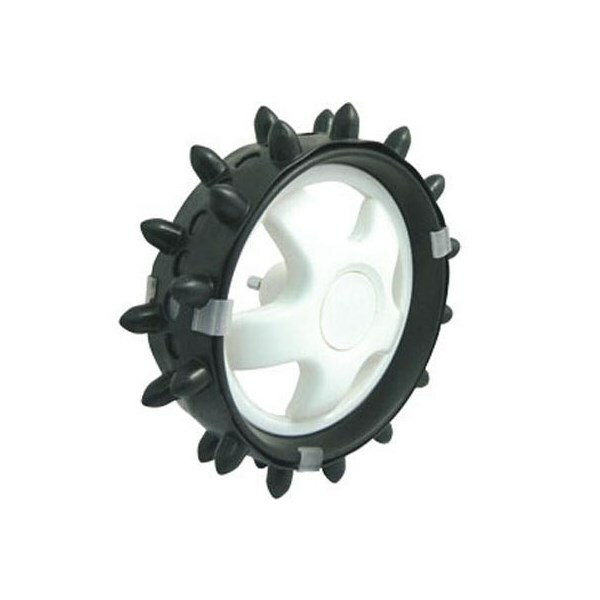 *Please note these Hedgehog™ fairway Wheels will only fit 4-Wheel MicroCart Trolley.